A rarity around here, what's special about today's recipe isn't the vegetable asparagus itself but what goes on the asparagus. It's hollandaise, one of the classic French sauces which, no doubt, you've had before, it's the sauce that gets draped over eggs Benedict. Drizzled over asparagus, hollandaise is a seasonal spring classic. Here's how to make hollandaise sauce in, of all things, a blender! Low Carb. Vegetarian. Naturally Gluten Free. Whole30 Friendly. Aiii, my friends. Bow down to the elixir of spring that is hollandaise, the lemon goodness that drapes itself over asparagus and is so captivatingly delicious that you may be tempted to sip it from a glass in order to savor every last buttery drop. Yes, homemade hollandaise sauce is that good! So how did a home cook known for shortcuts set off to make hollandaise, one of the five sauces of French cuisine? Well, it is the classic sauce for fresh asparagus. Shouldn't this Veggie Evangelist worth her asparagus at least try, yes? So I was all prepared to make "real hollandaise" with a double boiler and whisk and about 30 minutes of tedium loving attention. Then slow-cook StephenCooks shared the recipe for Julia Childs' blender hollandaise – no whisking required. You know, a shortcut! I was then all prepared to make "blender hollandaise" only to discover the kitchen was plumb out of lemons. Stephen nixed the idea of substituting vinegar for lemon juice (I know, sorry ... bad choice) so I proceeded with the next-best in-house substitute, grapefruit – the grapefruit hollandaise was good enough, for sure. A few days later, I made another batch of hollandaise – all in the name of research, I assure you – this time with the traditional fresh lemon. CAUTION #1 When hollandaise is made in a blender, the eggs do not cook. If you are wary of salmonella or raw eggs, this recipe is not for you. That said, my friend Linda tells me that a credible hollandaise can be made with pasteurized eggs. CAUTION #2 Because of the raw eggs, leftovers should be refrigerated very promptly and used within a day or so. LEFTOVERS This recipe makes about 3/4 cup of hollandaise. How much we drink in Vegas – I mean, use on the asparagus – stays in Vegas. (But really, you'll want only a tablespoon or two per serving of asparagus.) But leftover hollandaise is a plus! It turns a plain omelet into heaven plus there are eggs Benedict, of course. Or toss nearly any cooked vegetable with a tablespoon of hollandaise and oooooo, yes. Or substitute hollandaise for butter/mayonnaise in sandwiches. Or top a grilled steak. My favorite so far, however, is just dipping raw asparagus into the chilled hollandaise: heaven. A certain favorite seven-year old also declared this "yummy". HOW TO REWARM HOLLANDAISE A gentle warming is key, otherwise the egg cooks and the texture becomes more corduroy than satin. I had no luck in the microwave, a double boiler is likely to work. Any ideas, all? MAKE HOLLANDAISE WITH HIGH-FAT BUTTER I haven't tried this yet but my favorite chef and friend Anne Cori suggests using a high-fat European-style butter for hollandaise since there will be fewer milk "solids". CLARIFICATION from the Chef, answering Stephen's question in the comments: "Butter is naturally 82% butterfat. But the U.S. government sets the minimum at 80% so many manufacturers add water to their butter; these butters add too much water to hollandaise. So, we can clarify the butter, that is, we can remove the water. But most people find that clarifying butter is a pain. So instead of clarifying, just use a butter that is at least 82% butterfat, such as Plugra (made in U.S.) or the Land O' Lakes 82% butter. (Be aware that other specialty butters may or may not have the 82% fat.) In addition, whole butter tastes better since the milk solids, especially when cultured, contribute to flavor. Clarified butter tastes only like fat, although it is my favorite fat." This is my "yellow" contribution to an event hosted by Winos & Foodies of New Zealand. 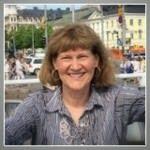 Barbara is a long-time food blogger and lives with cancer. A Taste of Yellow is her way to mark the Lance Armstrong's Foundation's Live Strong Day on May 16th. Read more and make a donation to the foundation. (Sadly, Barbara passed away in 2012. She blogged up until the last few weeks of her life.) And if you ever wonder about the world-wide community of food blogging, here I am, cooking with asparagus grown in the middle of America, participating in an event hosted in New Zealand, joining cooks from all over the world. THIS is why we blog. STEAM THE ASPARAGUS Put the asparagus steamer on to boil. Wash the asparagus well, rinsing the tips, especially under running water. Snap the spear at its natural breaking point, discard the woody stem end. (How? Asparagus & Woody Ends (Step-by-Step Photos & Video)) Steam the asparagus until done – the actual time will vary with the thickness of the spears and the steamer. Arrange the cooked asparagus on plates or on a serving platter. MAKE THE HOLLANDAISE Melt the butter over low heat in a small pot until it's bubbling hot, turn off the stove as soon as it's hot, you don't want it to burn, let it cool a bit, the butter should be warm (definitely not hot) when it gets poured into the blender. While the butter melts and cools slightly, fill the blender with the egg yolks, lemon juice, salt and pepper. Cover and whiz just these for about 30 seconds. With the blender whizzing away, sloooooooly drizzle the warm butter through the lid's hole at a steady pace, allowing time for each little drop of the butter to absorb into the eggs and emulsify. (You can increase to a slightly larger but still steady stream once about half the butter has been incorporated.) It's fun to watch the mixture as it turns from yolky-lemon juice into a thick, creamy sauce! TO SERVE Drizzle 1/3–2/3 of the Hollandaise across the asparagus and serve immediately. It's super-easy to make hollandaise in a blender. It's slightly harder to make it well. Think about making two or three batches in quick succession, learning as you go. It's something I intend to do. It's one of those recipes that home cooks should be good at, have confidence in themselves to make! No white pepper? It's an ingredient you don't want to skip but what you're after, is a tiny bit of heat to offset all the richness. Traditional hollandaise recipes often call for a pinch of cayenne, some people just a drop or two of Tabasco. No blender? You may have an immersion blender aka stick blender. (This immersion blender appears to be closest to the Cuisinart set I've had for years and years, it comes with an immersion blender, a cup with mini food processor blade, and a whisk that's also great for small amounts of whipped cream or salad dressing.) If so, check out this recipe and video from Serious Eats. Must try this. Looks wonderful. when I used to work in that French restaurant in college, my favorite thing they had was poached salmon with hollandaise. Anyway, a great post...one of a series, to be sure...! Oh, yum. Hollandaise sauce is one of those things that I'm tempted to eat by the spoonful, and asparagus is its perfect partner. We adore hollandaise sauce and have it about twice a year: once with artichokes and once with asparagus. We just had our artichoke fix a couple of weeks ago. I anticipate another fix in June when the Ontario asparagus appears. I don't recall that it takes half an hour of whisking but then (heh-heh) I just watch the hollandaise being made. We have a horror of eggy taste so always temper the eggs for Hollandaise. P.S. Here is our recipe for hollandaise. Looks fabulous Alanna. Oooh so much butter. Dare I make it? Maybe if I have just a little. Thanks for supporting A Taste Of Yellow. Using organic eggs will cut your risk of food poisoning, from what I understand. This site tends to feature asparagus more than any other vegetable it seems. Every time I look up, there's more asparagus! I strongly dislike asparagus. 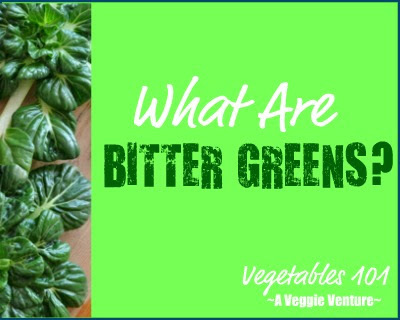 Can't you do something with kale or broccoli or celery or spinach or peas or green beans? Anything green but asparagus (or okra) please!!! Hi Mich Mach ~ Oh yes, for a couple of weeks this time of year, it's one asparagus recipe after another, for sure. : -) But do check out the Alphabet of Vegetables! You'll find plenty of broccoli ideas and celery ideas and kale ideas and pea and green beans too and also, sorry, okra! I love asparagus! And I love finding the variety of asparagus recipes you have here on your site. I posted a link to this in my own little yellow roundup~ nothing like the great job that Barbara did! I will have to give this hollandaise a try!